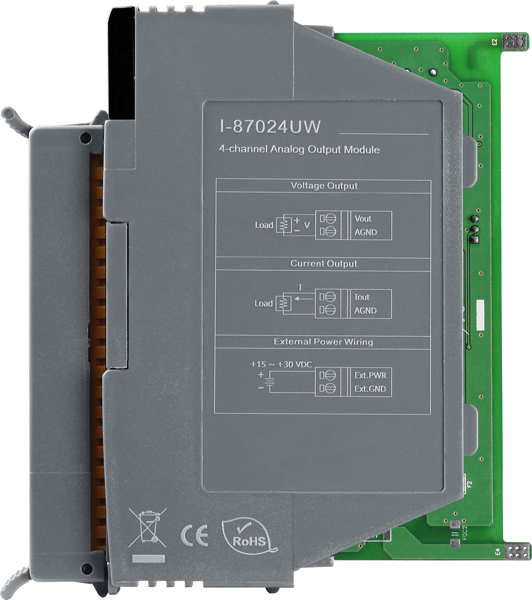 The I-87024UW is a source type analog output module that includes 4 single-ended analog output channels, and provides options for setting power-on and safe value. 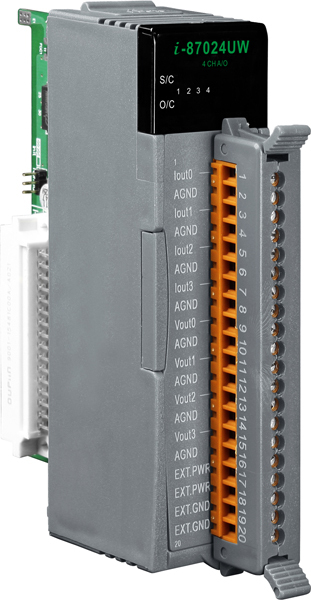 It also provides a programmable output range analog outputs(0 ~ 5 V, +/-5 V, 0 ~ 10 V, +/-10 V, +4 ~ +20 mA or 0 ~ +20 mA), and each analog output can be configured for an individual range and provides an RF immunity level matching that defined by IEC 61000-4-3. 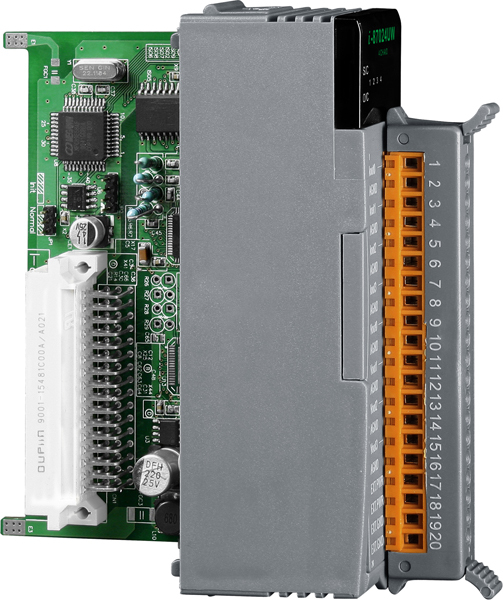 The module also features per-channel open wire detection for +4 ~ +20 mA output, together with 4 KV ESD protection as well as 2500 VDC intra-module isolation. Building Automation, Factory Automation, Machine Automation, Remote Maintenance, Remote Diagnosis, Testing Equipment.